Dream Chaser. Glitter Wearer. Forever Learner. Alyssa is not only creative, but also incredibly organized - a combination that makes her a natural at using design to solve problems. As a recent graduate of Cleveland State University, Alyssa was very active in the Graphic Design program where she spent a year as Vice President of the AIGA student group. Even after graduation, she continues to be active in the design community and currently serves as the Design Life Balance Event Series Chair for AIGA Cleveland. Before joining our team, Alyssa interned with LAND studio, which opened her mind to how design impacts a community. 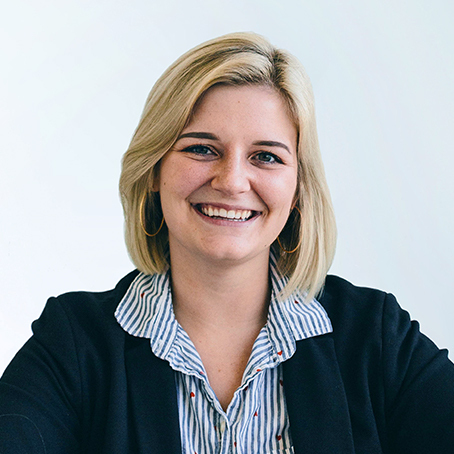 At Guide Studio, Alyssa combines her design expertise & passion for community to support clients, as well as in-house marketing and design initiatives.